Top » Our Organization » Board and Governance » Hesse, Robert J., Ph.D.
Robert Hesse is an ordained permanent Catholic deacon serving the Archdiocese of Galveston-Houston and Co-founder and President of Contemplative Network (CN) since 2011, dedicated to interdenominational Christian contemplative prayer. He is an ex-officio board member of CN and is a practicing contemplative in the Trappist Christian tradition. He was inspired at Gethsemani Trappist monastery, at the time home to Trappist Monk Thomas Merton. He was appointed by Trappist Monk Thomas Keating, Commissioned Presenter since 2003, Co-coordinator for Contemplative Outreach Ltd. (COL) 2004-2011, and Emissary in 2005 to the first COL dialogue with the Mind & Life (M&L) Institute for research on contemplatives, in response to an invitation by The Dalai Lama to Keating. From 2006-2015 he was board member of the interfaith Institute for Spirituality and Health (ISH) retiring as Vice Chairman. At 60 years, ISH is the oldest such organization in the U.S.A. located in The Texas Medical Center (TMC), the largest medical center in the world. He has been an Adjunct Faculty member at ISH since 2006 and at the University of St. Thomas (UST) since 2012. He formerly served on the Deacon Spiritual and Community Life Committees of the Archdiocese of Galveston-Houston. 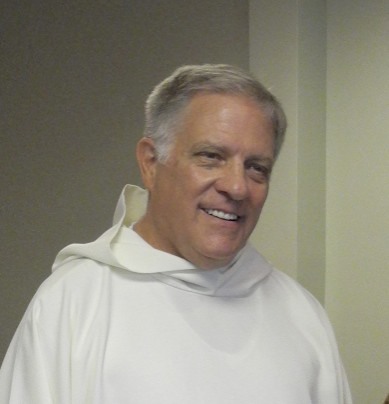 He was formerly retreat team member at Holy Name Retreat Center and on numerous parish ACTS & prison Kolbe retreats, frequent presenter to Catholic RCIA groups, and founding advisor The WorkFaith Connection™. He is 4th Degree in the Knights of Columbus (KOC). In his secular life he established numerous international project management consortia. PRESENTATIONS - He has given numerous presentations on contemplative prayer and Faith and Science (F&S) including co-teaching a F&S graduate course at UST. His interests are on the asymptotic convergence of F&S: physics-creation, chemistry-life, biology-consciousness, and psychology-mysticism. He has special interest in healing suffering from mental illness and research on the scientific effects of prayer. International presentations include the Pontifical University Regina Apostolorum in Rome, Rumi University in Turkey, Hohere Technische Bundeslehranstalt in Austria, European Conference on Religion, Spirituality and Health (ECRSH) at the University of Gdansk in Poland, St. Mary’s in Canada, International Diaconate Centre (IDC) in Lourdes, France, Catholic Seminary and Cuban School of Medicine (CSM), both in Cuba in 2015, which was the first time in over 50 years since the revolution religion was presented in Cuba’s university system. National presentations include Conference on Medicine & Religion (CMR) sponsored by Harvard, University of Chicago, St. Louis University, et.al., Jain Bioethics Conference, Bowen Conference, St. Mary’s Seminary, St. Louis University (SLU) Campion Centre, Rice University, Claremont Lincoln University, Rothko Chapel, M.D. Anderson Cancer Center, St. Luke’s Hospital, Theosophical Society, Archdiocesan Council of Catholic Women (ACCW), Center for Faith & Health Initiatives, Foundation for Contemporary Theology, Theresians, Holy Name Retreat Center, Cenacle Retreat Center, Texas Department of Criminal Justice, and Eagle’s Trace. Interfaith and interdenominational presentations include Jain & Buddhist Congregations, Zen-Christian Dialogue, Jewish congregation, Muslim mosque, and Christian denominations: Episcopal, Lutheran, Presbyterian, Methodist, Catholic, Orthodox, Quaker, Protestant, Non-denominational, et.al. EDUCATION - includes loving marriage of 45 years (widowed) with blessed 2 children and 4 grandchildren. Travels to 98 countries on 7 continents and expired professional engineering (PE) licenses in 4 states and 3 disciplines. Academic includes seminary study of 6 years for the priesthood, B.Th. in theology from UST and a B.S. in Chemistry and Ph.D. in Physical Chemistry from SLU. Dr. Hesse presentations and video.